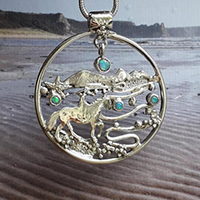 This collection of silver starfish necklace, bracelet and earring designs are inspired by Three Cliffs Bay, Gower. A stunning bay where over time the tide has carved three peaks in the limestone rock that rises from the golden sands below. 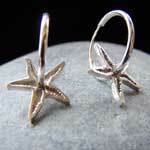 I have been inspired by the number of starfish washed up by the tide:found lazing in the rock pools under Three Cliffs. There are large numbers of the brittle starfish as well as the orange coloured common starfish to be found here. 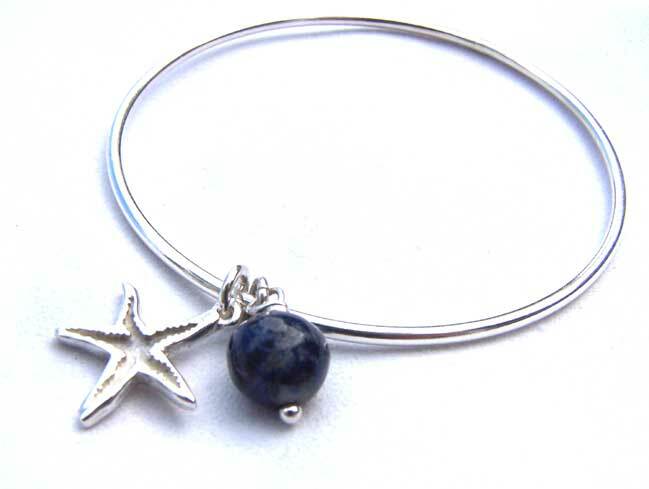 The starfish necklaces, earrings and rings are solid 925 sterling silver but can also be ordered in 9ct or 18ct white or yellow gold. 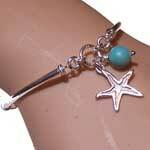 Solid silver 925 hallmarked starfish turquoise drop charm bracelet linked fastening allows length to be adjusted . 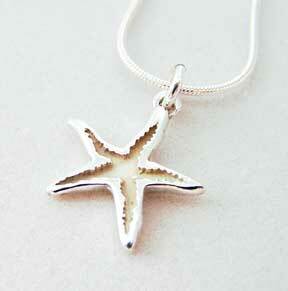 Solid silver 925 hallmarked starfish pendant on a 16 or 18 inch chain. 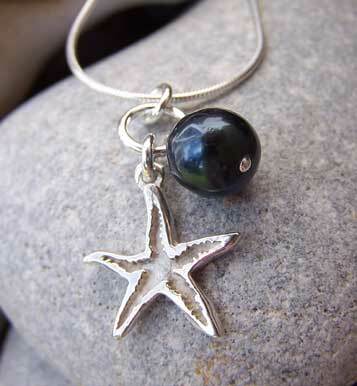 Solid silver 925 hallmarked starfish earrings with real white or black pearl. email your preference. 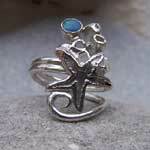 starfish ring with curls, barnacles and blue 4mm opal. The ring is approx 2cm in length along the finger. Please email size required when ordering. 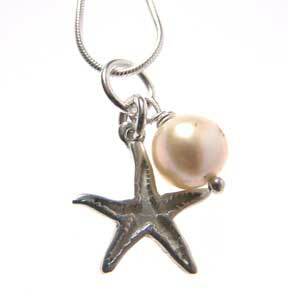 Due unique nature of each starfish piece, we usually only carry 1 in stock. 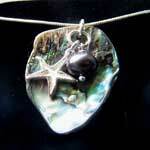 In order to secure this piece it is recommended that you place your order now.